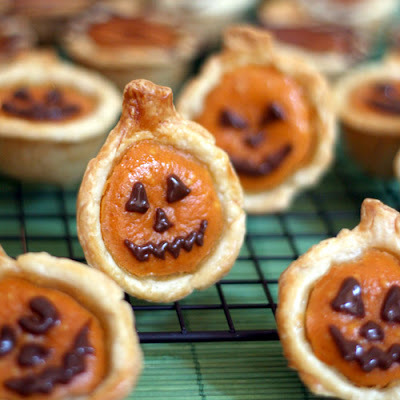 They look totally easy to make. 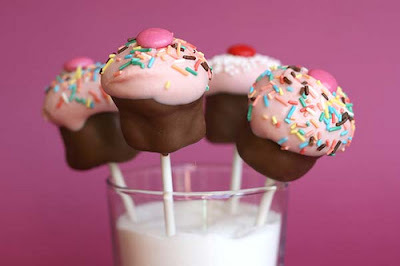 The cake pops are just cake and frosting all mixed together and rolled into balls. 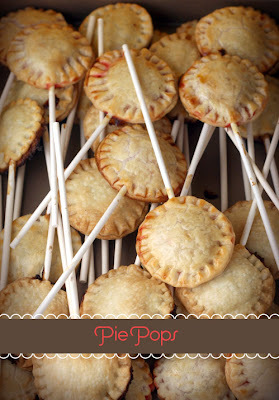 Then the decorating gets a little tricky (this is where I'm a great copy cat and that's why you find blogs like Bakerella that inspire you) She's great too because she gives full on tutorials like this for the mini pie on a stick. Oh I'm in love.